FEATURES/SPECS It's all about the ball in golf. Where it's flying, how it's rolling, and is it in the sand! 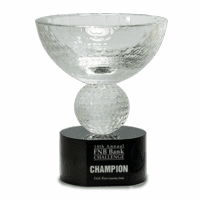 The ball is the center of attention in this sophisticated clear crystal plaque. 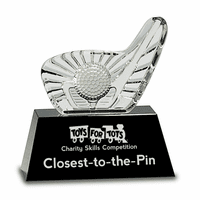 A beveled, domed plaque rests on a jet black crystal pedestal, with a carved replica of a golf ball resting in the arch. 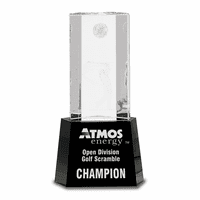 The plaque is just right for engraving the name of your country club or organization, the date and name of your tournament, and a logo, if you like! 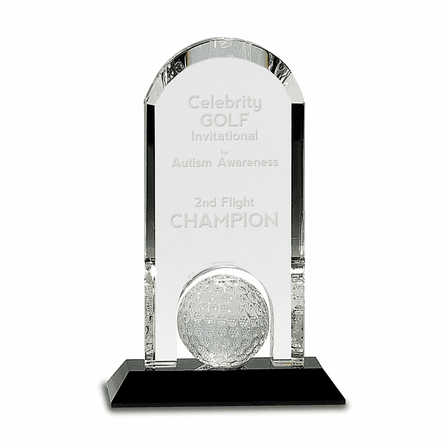 The golf ball plaque is 9' tall, perfect for desk or shelf, and it comes packaged in an attractive gift box that is ready for awarding the trophies after the match. 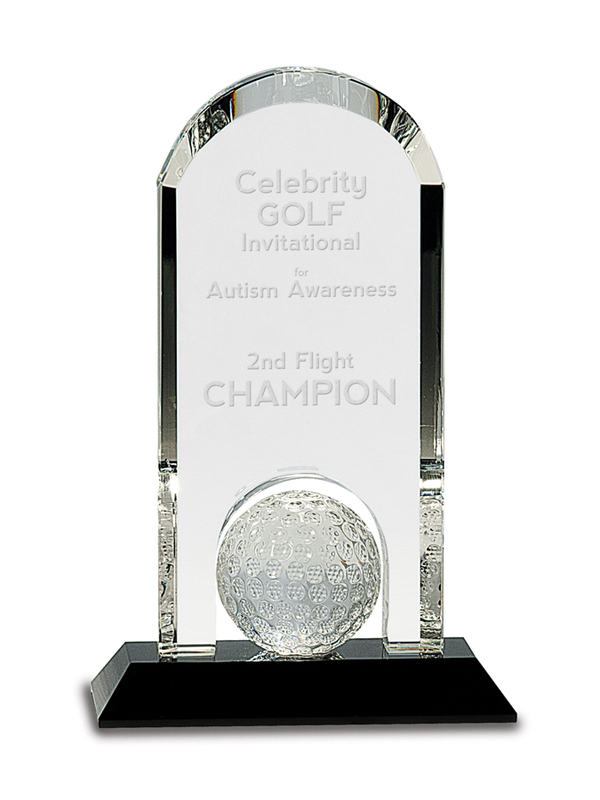 Your winners will be thrilled to receive such an elegant, unique trophy, and your reputation for holding an exciting and classy tournament will be upheld! 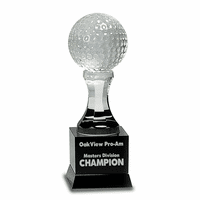 Here at the Executive Gift Shoppe, we're on the ball too! That's why we can happily offer you our full Satisfaction and Performance Guarantee.